BETA Adult Active With Chicken - 14kg. 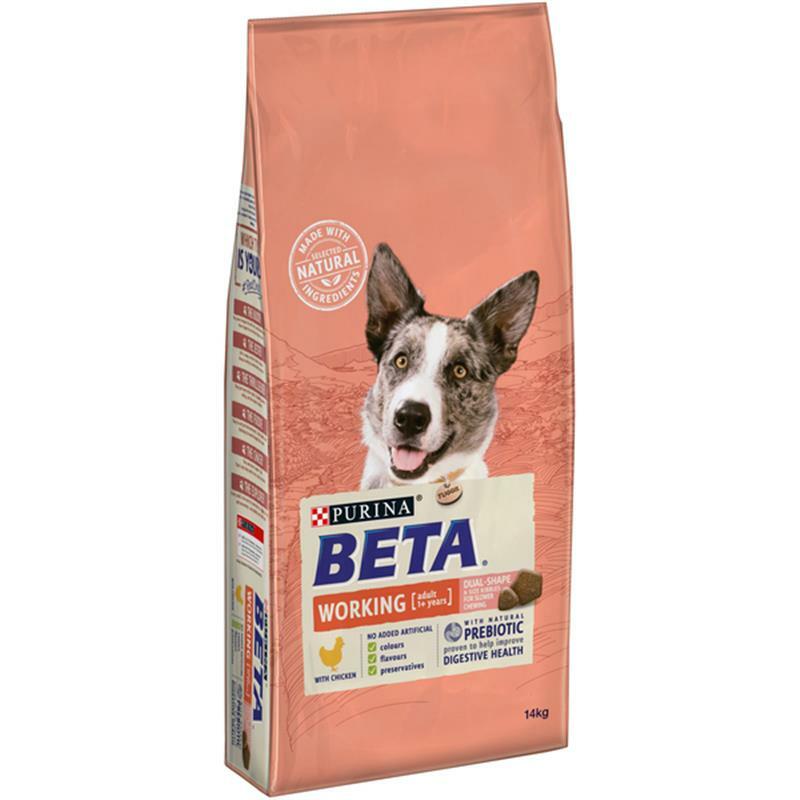 BETA 100% complete and balanced nutrition tailored for adult active and working dogs to support strong muscles and continuous energy needs throughout the day. Active dogs require additional antioxidants which help maintain their natural defences during active periods. BETA Adult active is specially formulated to help regulate intestinal transit through beet pulp as well as to help maintain ideal body weight even during challenging training periods. High protein and fat levels from quality ingredients provide essential nutrients your active dog needs to enable his boundless energy. Contains dual size kibbles for good oral health and designed to encourage the dog to chew the food.